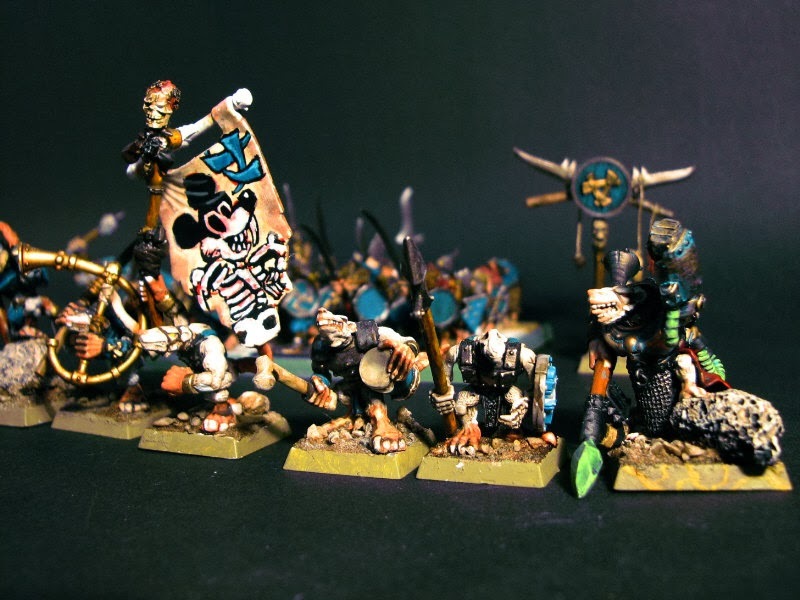 The Skaven are one of the armies of the races that populate the Warhammer world. 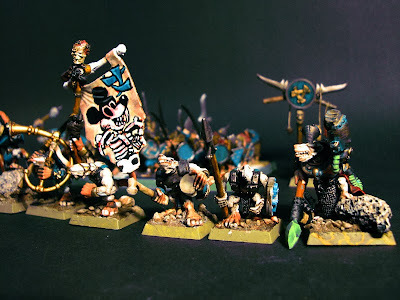 They are mutated rats that are keen to wage war to any foe. They are not very brave, and their battle motto is "Scurry away to fight another day!" It's my own fantasy army and I like them because of their crazy looking medieval army with all kind of monsters and weird "Da Vinci" like machines. I perverted "Mickey Mouse" for the reason I hate Disney, and so do my rats. 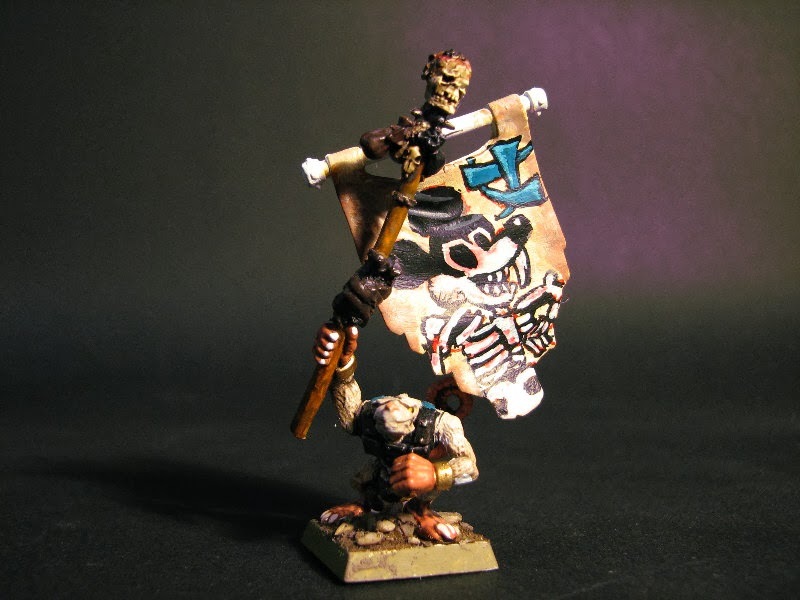 The sign on the banner is one of the rune-like symbols from the Skaven script. The rat and banner were painted by me with Citadel arcylic an Revell enamel paint. Or visit a Games Workshop to buy Warhammer figures and/or books and manuals. 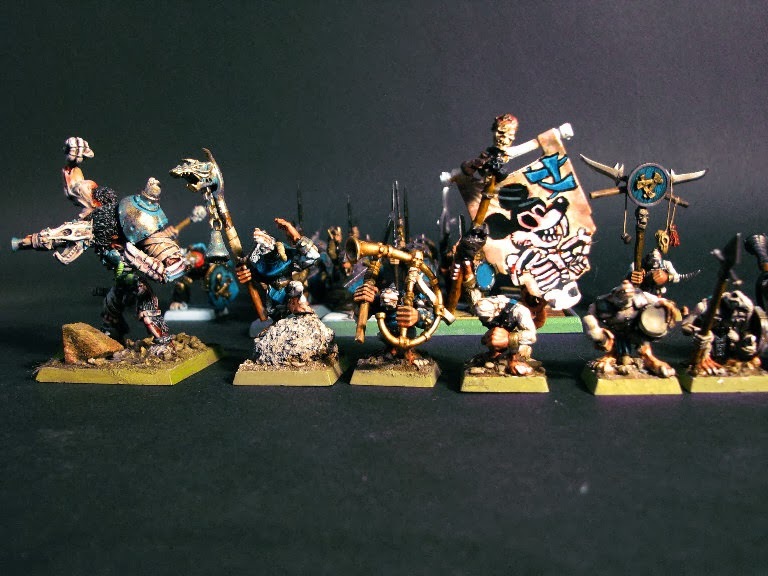 I like to state that I only use or show Games Workshop figures in a way to promote the hobby and show my paintskills, and that all the pictures are taken by me, myself and I.
Warhammer and Games Workshop are trademarks of Citadel (or the other way around), a company that produces great figures to get rich and make the hobby impossible to afford by raising their prices time and time again in a way youngsters never could afford and stop buying and playing Warhammer.